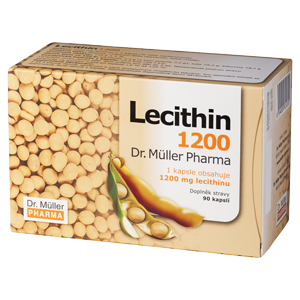 Lecithin is a mixture of phospholipids naturally existing in the organism as a component of cell membranes. As its consumption by the body increases with age, it should be added to the organism. Each capsule contains 1,200 mg of lecithin obtained from soya beans. Swallow 1 to 3 capsules daily and follow with sufficient amount of some drink. To reach the optimum effect, 1 capsule 3 times daily should be used.